Mosquito & Pest Xperts – your choice for Termite Inspection and Termite Control! Termites are known as “silent destroyers” because a home owner may not know that there is actually a Termite problem before it’s too late. Often termites can begin infestation without showing any signs of damage, so it is extremely important to have a routine Termite Inspection annually. There are many different types of species of termites, and each species thrives in different climates and requires different food. In North Carolina & South Carolina (our service areas), we find that problems can occur from a myriad of different issues because Termites are formed in soil. Termites will then create large tunnel systems and feed on above ground food. Our Pest Control Specialists have been trained and certified in the latest scientific approaches to solving your pesky pest problems, we will inspect your home inside and out for Termites and remedy the problem. 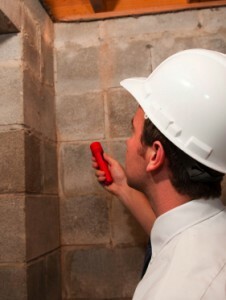 A lot of home owners don’t realize that there are several options based on the findings of a Termite Inspection. Mosquito & Pest Xperts will present the findings of your inspection and offer our expertise in either your best prevention or treatment options. Through our annual inspection process, we will also advise and report to keep your home secure year round from possible infestations.